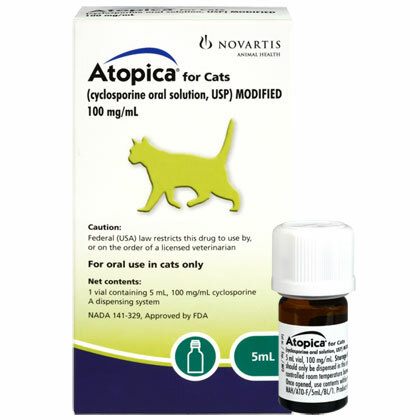 Atopica for Cats is an oral solution used to control feline allergic dermatitis (allergic skin disease) as seen as broken skin, including facial and neck. Signs of allergic skin disease include itching, chewing, licking, skin lesions and hair loss. Some cats may develop lesions that may even appear on the face and neck.